*DISCLOSURE* Thank you to Loving Pets for providing product samples in order to facilitate this post. All thoughts are strictly my own. -The nibs around the heart shaped opening massage the gums and scrape the tongue for fresher breath. 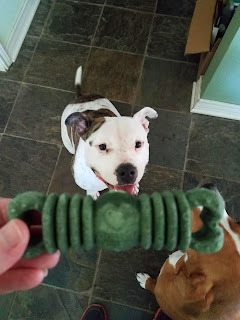 Dental chews make improving oral health fun for your pup. 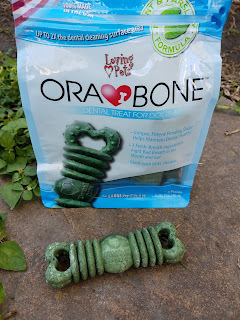 Jessie and Harley Mae really seem to enjoy their Ora-Bone treats and their breath really does smell a lot better afterwards. 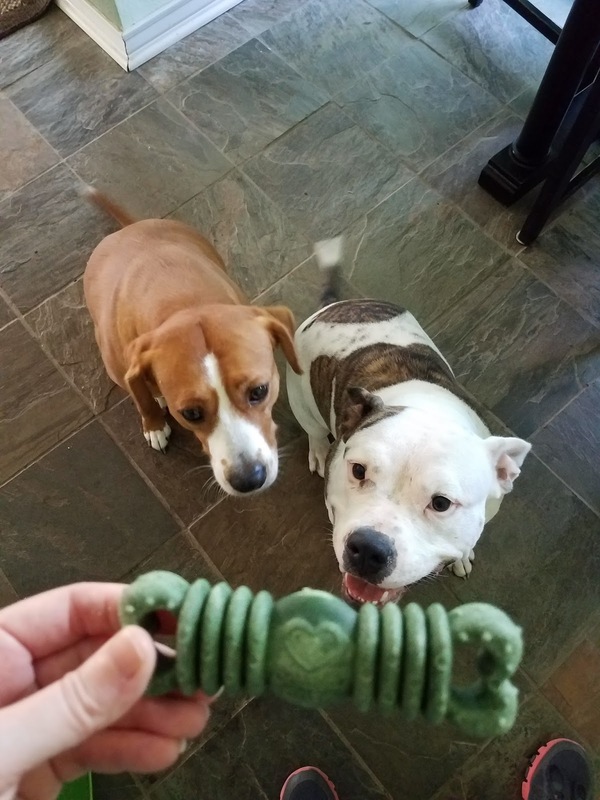 Stinky dog breath can be a sign of a more serious health issue. 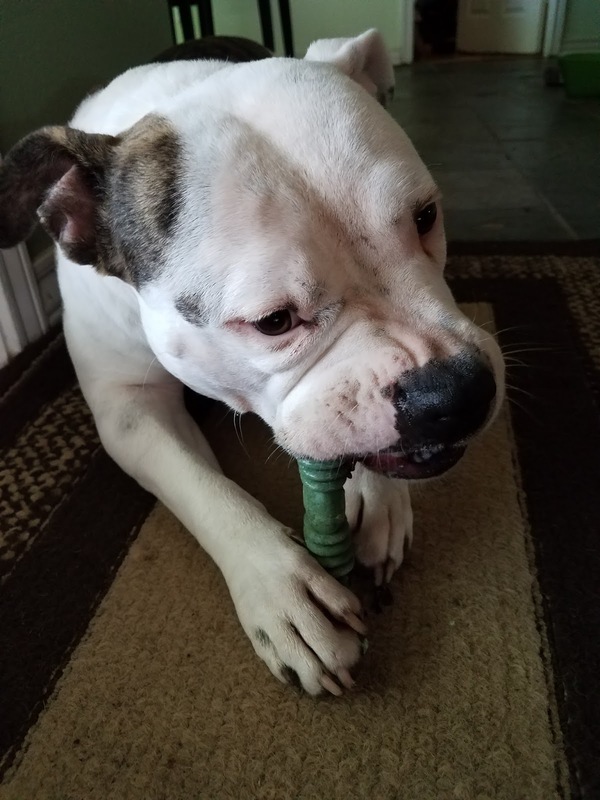 Dental bacteria, plaque and tartar are not only detriments to your pet's teeth and gums, but internal organs (especially the heart) can also be at risk as well when the bacteria travels to the bloodstream. Using Ora-Bone dental chews helps keep the bacteria at bay! 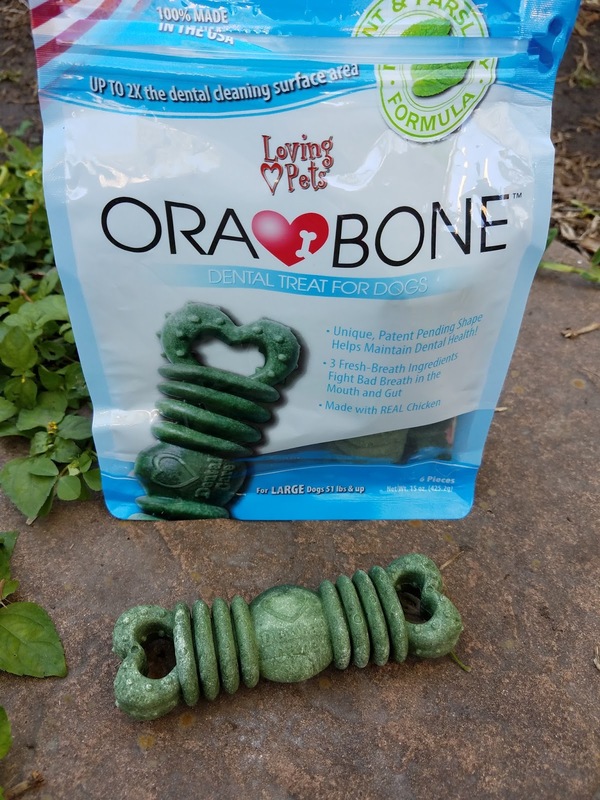 These fun treats are available in 3 sizes so no matter what size your dos is, there is an Ora-Bone for them! 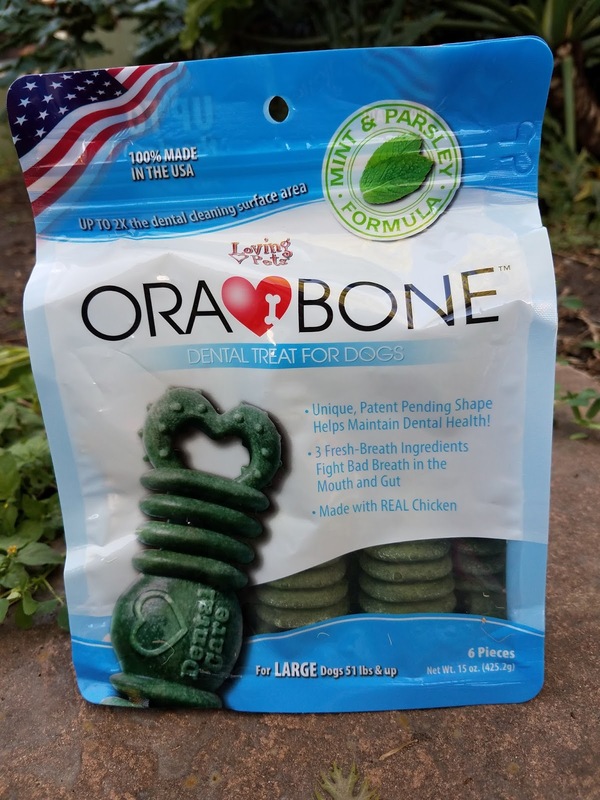 Keep your pup's teeth and gums sparkling clean and healthy with Ora-Bone dental chews from Loving Pets!